Let the company that has set the standard in satellite design, launch and in-flight operations for over 50 years fly your satellites for less. 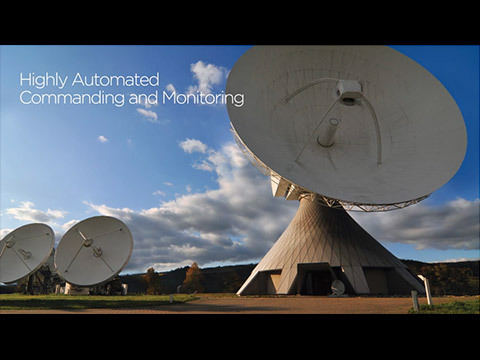 The Intelsat Consulting and Management Services team delivers a variety of essential satellite services to support commercial and government customers. We provide highly efficient and reliable in-orbit operations for more than 75 satellites owned by Intelsat and third-party customers. Our network connects to more than 550 ground antennas at 30 locations worldwide, offering long-term satellite monitoring and control for a variety of customers on one of the most sophisticated communications networks in the world. We have over 50 years of Intelsat and third-party mission experience, as well as a broad spectrum of satellite manufacturing and acquisition know-how to ensure your requirements are successfully executed. Our satellite controllers average decades of experience and undergo regular training to ensure they are top in their field. Our highly experienced team has flown more than 50 missions during the launch and transfer orbit phases. The same team has managed the provision of the ground network used to support more than 200 transfer orbit missions.